The launch date of the new smartphone in the Redmi Y-series has been finalised. Redmi Y3 will soon enter the Indian market on April 24 with a high-resolution front snapper for seizing alluring selfies. 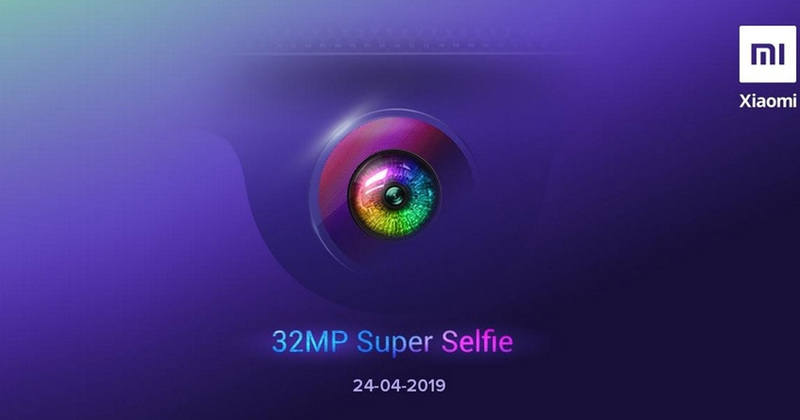 The specifications were dug up via Xiaomi's revelation about “32MP Super Selfie” moniker on Twitter which confirms that the device will feature a 32MP shooter along with enhanced AI beauty mode on the front. It was announced in October last year that Xiaomi will connect the Samsung's 32-megapixel ISOCELL Bright GD1 sensor in the Redmi Y3 for beautiful photography. The Redmi Y3 handset has received a Wi-Fi certification recently that discloses that it will have M1810F6G model number, runs on Android 9.0 Pie with MIUI on top and supports Wi-Fi 802.11 b/g/n. The accompanying image displays a part which suggests that the handset will feature a water drop-style notch to accommodate the selfie shooter of a smartphone whose shape is quite similar to the one on the Redmi Note 7₹ 10,995 (Review) duo. Xiaomi India has also been teasing a bigger battery, giving clue about the 4,000mAh unit on board that will offer comfort to the users who are fed up with their smartphone dying out before the end of the day. It is also speculated that the phone could be powered by the Snapdragon 660 SoC , integrated with up to 6GB RAM and 128GB internal storage. Sadly, that’s all we know about the phone at the moment, but We’ll be soon be back with all the updates on the Redmi Y3 price, specifications, and availability. Separately, it was also hinted that Xiaomi is going to launch the Redmi 7 smartphone in India very soon ( No confirmed dates). The latest budget-smartphone features a 6.26-inch display with HD+ resolution and water drop notch. The smartphone is powered by the Qualcomm Snapdragon 632 chipset coupled with up to 4GB of RAM and 64GB built-in storage.